Christmas baking has started! 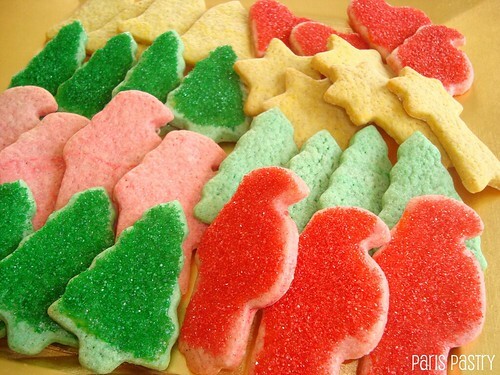 And what better way to start the festive food-month than to make Christmas cut-out cookies! As much as I love baking cut-out cookies, I'm never up for the hours of work that comes after when you need to ice them with royal icing. 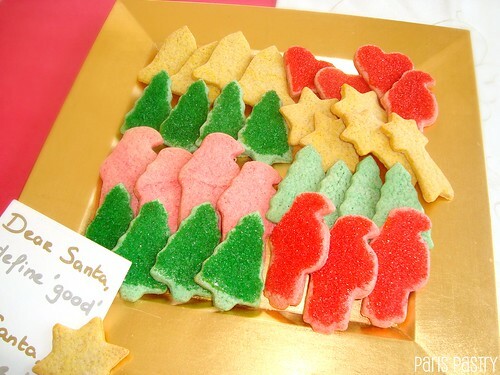 So, I came up with a easy, fun & quick way to still make cut-out cookies look cheerful; tinted cookie dough! And to make up for the lack of flavor without icing them; spiced cookie dough! Double cheer :D! I absolutely adore these cookies, they're so sweet (literally & figuratively). Rating: 4 out of 5. - Whisk together flour, baking powder, and salt in a large bowl. Beat butter and granulated sugar with a mixer on medium-high speed until pale and fluffy. Beat in egg and vanilla. Reduce speed to low. Add flour mixture, ground cinnamon, ginger, allspice, and pepper and beat until combined. Once the flour is incorporated, add drops of liquid or gel-paste food coloring until you get the desired color. Mix thoroughly. - Shape dough into 2 disks, and wrap each in plastic wrap. Refrigerate until firm, about 1 hour. Roll out 1 disk on a lightly floured piece of parchment to a ⅛- to ¼-inch thickness. Repeat with remaining disk. Refrigerate until firm, about 30 minutes. Cut out desired shapes. - Bake at 350 degrees until cookies are firm, 12 to 15 minutes. 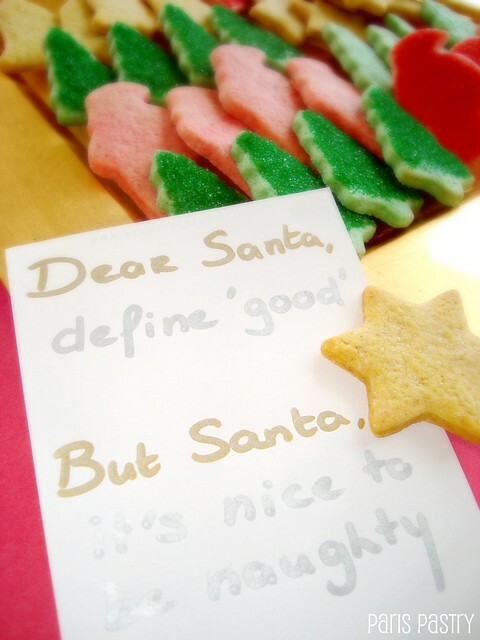 - For sanding sugar cookies: Once cookies have cooled, warm up ¼ cup apricot jam in microwave until jam is runny. Brush cookie shapes with apricot jam using your fingers and sprinkle generously with sanding sugar. 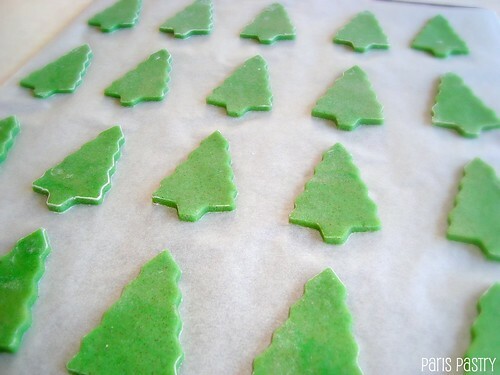 Aww, these are very cute indeed :) I understand about the whole royal icing thing, it's a pain and I don't have the time or attention spand for it, so tinting the dough sounds like an awesome idea! These look great!! I'm the same with royal icing. I love the end product but I always am swearing like a trucker when I do them, lol. This is definitely a simpler alternative! Love the colours!! The note is so cute! As usual, these look lovely. Keep up the great blog in 2012.